Teifion Rice-Evans is an economist who directs and manages complex consulting assignments throughout the western U.S. He joined EPS in 1994 and has over 20 years of experience with particular expertise in regional economics, real estate economics, public finance, and public policy. 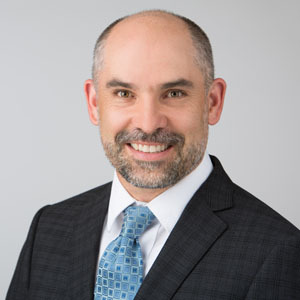 In his practice, Teifion focuses on providing clarity on economic and planning issues to support sound policy-making and the prudent investment of public and private resources. He has worked on small- and large-scale initiatives spanning urban, suburban, and rural settings, and he has experience evaluating economic and planning issues at the local, regional, and statewide levels in California, Colorado, Utah, and Hawaii. Teifion’s varied projects have included establishing an innovation district in the City of Fremont, evaluating mixed-use infill development opportunities in the City of Oakland, identifying opportunities for mixed-income housing development along the Los Angeles waterfront, and supporting public-private negotiations for new tech campuses in Silicon Valley. Teifion has also developed financing tools for transportation, parks, and public safety facilities for municipalities throughout California, and has helped develop dozens of regional habitat, open space, and parks plans. Teifion is a member of the California Chapter of the American Planning Association, San Francisco Planning and Urban Research (SPUR), and the Association of Resource and Environmental Economists. He is a frequent speaker on the topics of real estate economics, innovation-oriented economic development, regional collaboration and competition, and conservation economics. He enjoys coaching his daughter’s soccer team, watching his son play soccer, and, at times, riding public transit.